1996’s Mercedes-Benz CL was, in effect, an ultra-luxury coupe version of its S-Class saloon. The ultimate in modern technology doesn’t come cheap and the CL was correspondingly more expensive, leaving critics wondering what its place could be in the market. 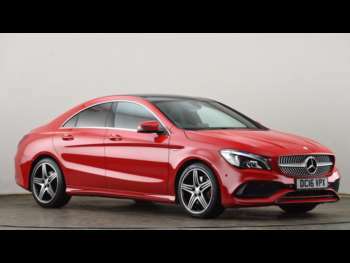 However, this is good news for buyers of used Mercedes-Benz CLs, as depreciation is not a strong enough word to describe what happened to prices once the cars left the forecourts. Later models of this car are progressively more attractive but, realistically, no-one bought the CL for its looks. This car is all about the technology. You can expect power-close doors and boot, electronically served seatbelt feeds, 12-way adjustable memory seats with lumbar support, height and reach adjustable steering wheel, double-glazed windows and an 11-speaker CD stereo system by Bose. Standard features include suede, leather and walnut-trimmed interior, ABC suspension hydraulics, climate control, trip computer, satellite navigation and heated seats. Basically, pretty much any comfort or convenience feature you can think of is included either as standard or an option with the CL. All that technology isn’t confined to comfort features, as any generation of the CL drives like nothing else out there. It’s utterly flat through corners, speedy from the lights and torquey enough to pull a train. The body control is calm and elegant, and it is almost silent at high speed. All this makes for an extremely impressive driving experience. See what offers you can find in the range of used Mercedes-Benz CLs for sale at RAC Cars. Got a specific Mercedes-Benz CL model in mind?